Bryant Park is a great place for some St. Patrick's Day revelry, and it's not just the abundance of green, proximity to the parade route on Fifth Avenue, or plethora of Irish bars in our midtown neighborhood. St. Patrick's Day is tied closely with luck, and Bryant Park offers plenty of opportunities to stock up on it. Tak a seat on our classic green bistro chairs. 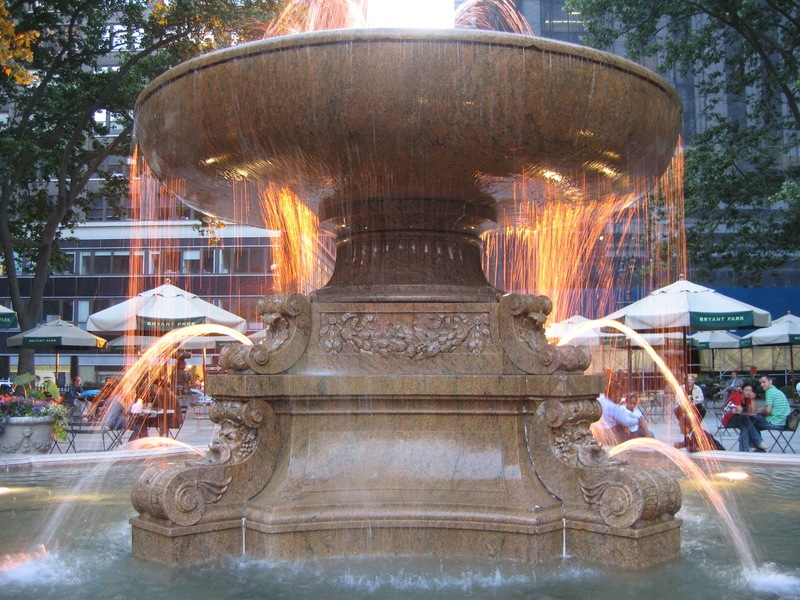 To start, wish on a coin tossed into our fountain, which is perhaps Midtown's best-known wishing well. We collect coins from dreamers who visit us from across the country and globe. The pennies, nickels, dimes and quarters get taken to the bank and turned into dollars, which go right back into the maintenance of the fountain. We sort out the foreign coins, and they tell a story about the origins of our park visitors. Take a chance and toss your change into the Josephine Shaw Lowell Memorial Fountain. You can also harness the power of lucky numbers in Bryant Park. There's our fortuitous location on Manhattan's 42nd Street, a number defined as the "meaning of life" by Douglas Adams' classic book The Hitchihiker's Guide to the Galaxy. Lucky numbers aren't lost on our staff, who make sure to program our park seven days a week (lucky seven,) in the morning, afternoon and evening (good things come in threes!) We're currently busy planning all kinds of exciting spring and summer programs and activities for you to enjoy any day, or time, you visit. Fairy tales and folk tales often suggest kissing a frog or toad for good luck. While we wouldn't recommend smooching your average New York City amphibian, we happen to have a frog with an excellent pedigree in our humble park. 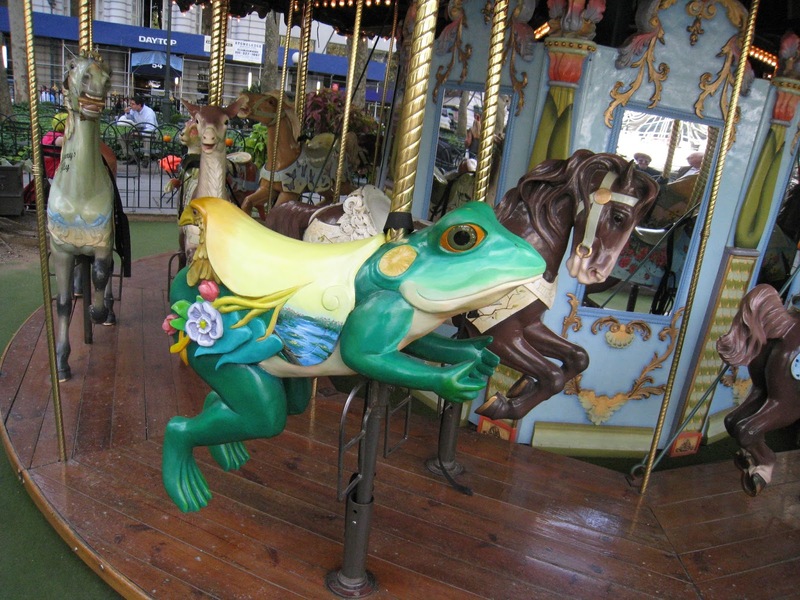 Flaubert the Frog is a beloved part of Le Carrousel who sometimes hops to life for summer storytelling. You would be hard pressed to find a frog on your typical carousel, but with its french Musettes and low cost per ride, Le Carrousel is anything but typical. Go ahead, kiss the frog! Lucky Flaubert, in the froggy flesh. Feeling lucky yet? Your final stop should be our Games area, which opens for the season on April 1st with more than 50 board and table games. Many of our most popular games, like Settlers of Catan, Scrabble, Backgammon and Boggle, require skill or strategy. But there are a few classics that leave things up to chance: Parcheesi, Sorry and Candyland are all dependent on a roll of dice. Perhaps you'll win some enviable bragging rights! From all of us at Bryant Park, have a wonderful St. Patrick's Day. We're lucky to have fans like you.